Always wanted to be a zombie? A witch? A mummy? Join the City of Huntsville's Parks and Leisure Department for an open call for actors for this year's Haunted Hayride. The meeting will be Friday, October 7, at 6:00 p.m., at the City of Huntsville Service Center (Highway 75 North, across from storm shelter/H.E.A.R.T.S. Museum). 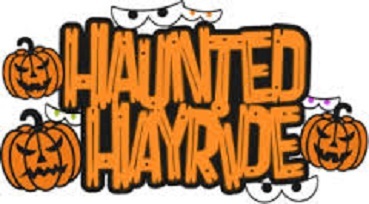 The Haunted Hayride event will take place on Saturday, October 22, 2016. Contact Penny Joiner at pjoiner@huntsvilletx.gov or (936) 294-5708 for more information, and visit the Facebook page at https://www.facebook.com/COHrecservices.